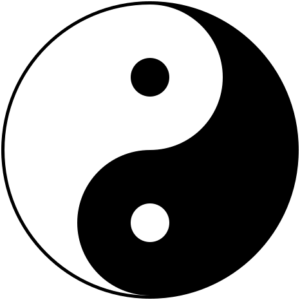 Cash flow and the balance sheet are the ultimate yin and yang in the personal finance world. Positive cash flow (e.g. spending less than you make) leads to building a better balance sheet, which consequently leads to more free cash flow. For example, if have a $10,000 monthly employment income and $8000 in monthly expenses, the $2000 of positive cash flow will increase your asset base over time. Eventually, this cash can be used to pay off debt (eliminating a monthly payment) or acquire an asset that produces income. This further increases cash flow, which further builds capital assets, which further increase cash flow. Negative cash flow reduces your asset base and increases debt, which further constrains your cash flow. You can increase cash flow or the gap between income and expenses by either growing your income or cutting expenses. Paying off debt or acquiring an income producing asset, each evidenced by an increase in net worth or equity on your balance sheet, will increase cash flow. Most broke people do not understand this and the majority of people that actually understand this do not have the willpower to act on it. Our system rewards capital. Since we know that cash flow leads to assets, which leads to greater cash flow. Our goal is to discuss ways to boostrap our balance sheet asset base and create positive cash flow and rinse/repeat. We want to encourage and motivate you to achieve extreme positive cash flow and to build a better balance sheet.